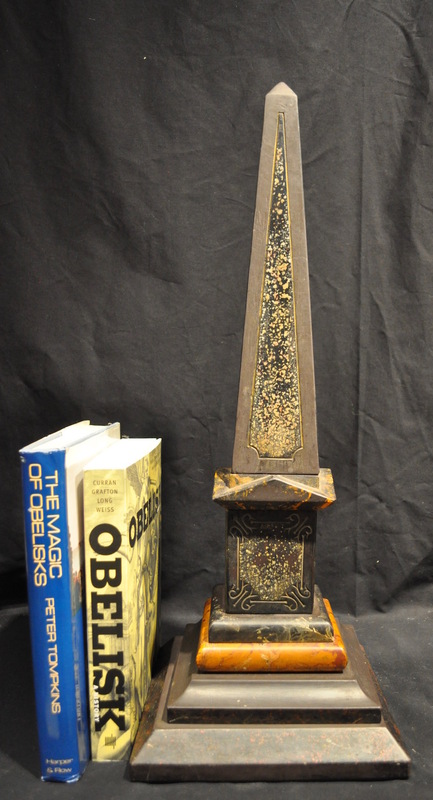 Very handsome and impressive antique slate obelisk with incised marble insets. Sections of the base are 'marbleized' in a tortoiseshell pattern. Unusually shaped base to the obelisk, all giving it great character. Connected with a rod as is typical of an obelisk of its age. More photos available. 22.5 inches tall. Base 8.5 inches square. 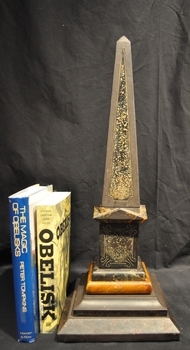 Very good condition for an antique obelisk. Remarkably few chips for its age. Connected with a center post, and a bit loose so that sections will turn. Three indentations on one side of the obelisk, 2 chips on pedestal, 2 chips at base of obelisk. 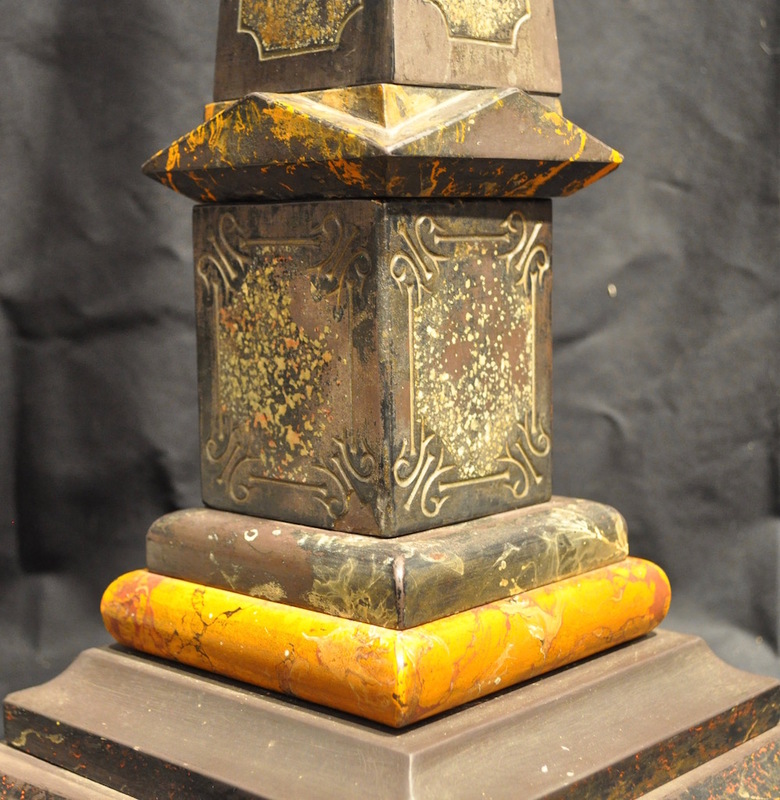 Some minor loss of pebbled effect (scagliola) on some of the pedestal and obelisk faces. More photos available on request.